UPDATE: The new turf field will be installed over the summer of 2018. 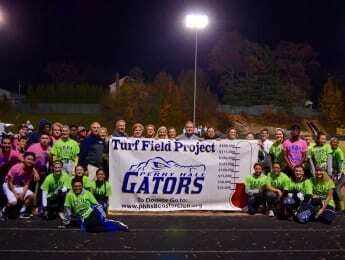 The Perry Hall High School Athletic Booster Club has kicked off its campaign for a new artificial turf field at Albert R. Miller Stadium, the second phase in an ongoing effort to improve sports facilities at the 48-year-old school. Businesses and residents can donate to the effort by visiting http://www.phhsboosterclub.org. There will be special recognition at certain levels of contribution. Over $72,000 has already been pledged from local recreation councils and other entities.